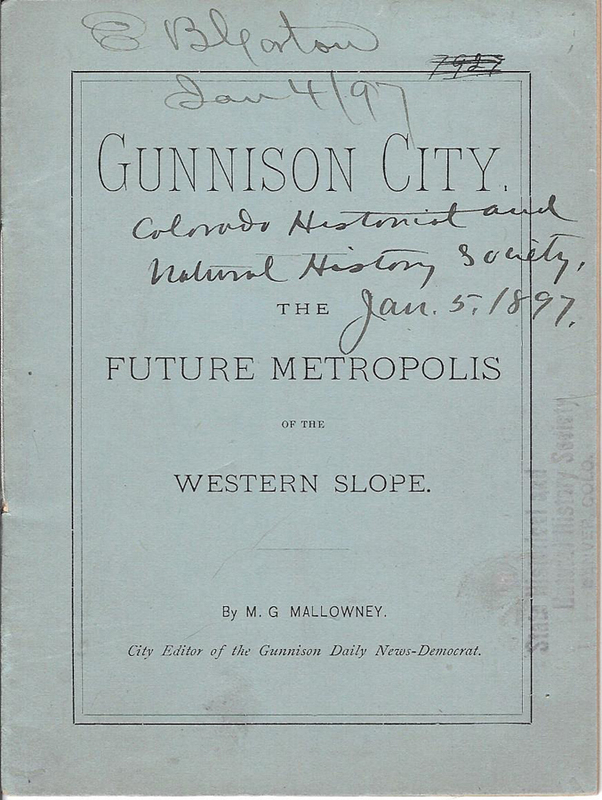 Rare books, photographs, glass-plate negatives, maps, stock certificates, and historical artifacts related to Gunnison County, Colorado. 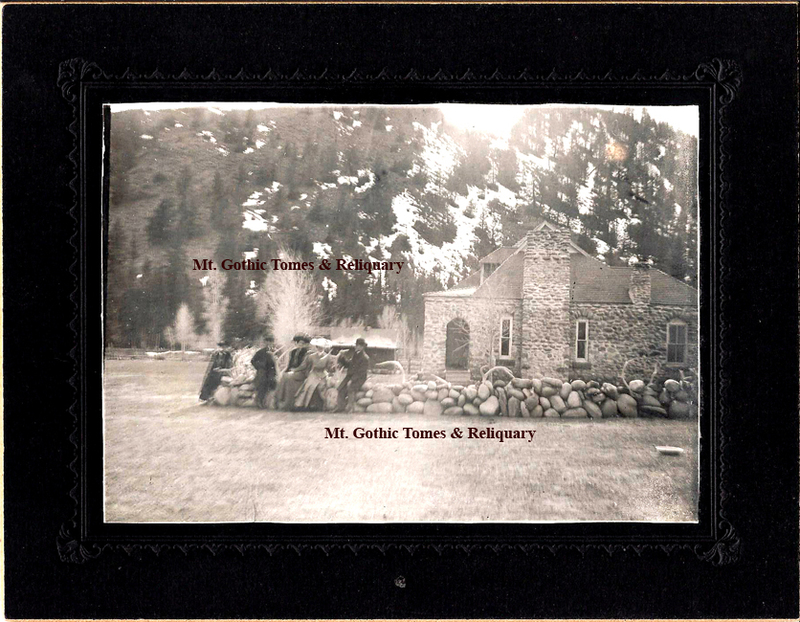 GOLD BRICK MILL, PITKIN, GUNNISON COUNTY, COLORADO, 1895, by photographer Frank Dean. Part of work force. E. T. Jeffrey, President & General Manager. 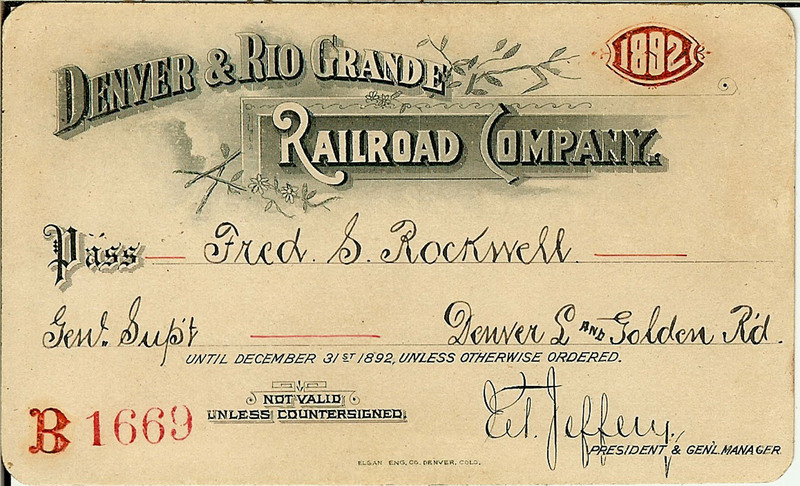 S. K. Hooper, General Passenger & Ticket Agent. Denver, Colorado. 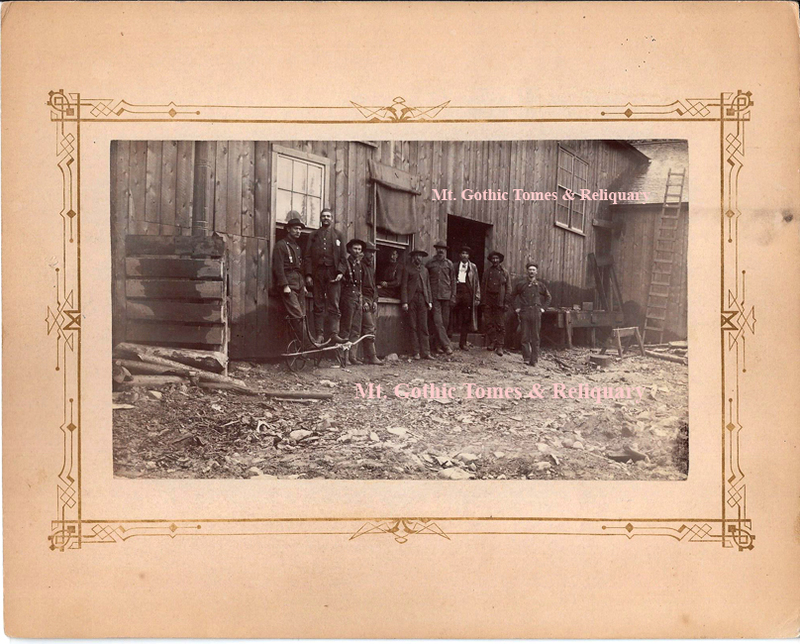 Knight, Leonard & Co., Printers, Chicago. 32-panel folding publication including descriptive and timetables. 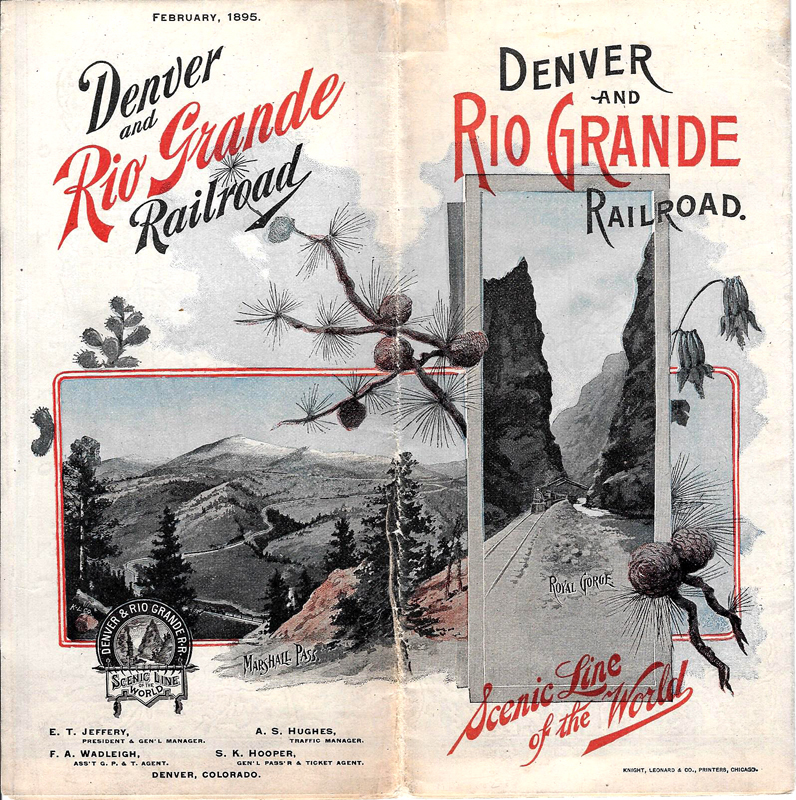 Reverse, after being unfolded, forms an excellent Map of The Denver and Rio Grande Railroad and connections. Very good plus condition. B. F. Bush, President. S. K. Hooper, Assistant to General Traffic Manager, Denver, Colorado. 24 pages. 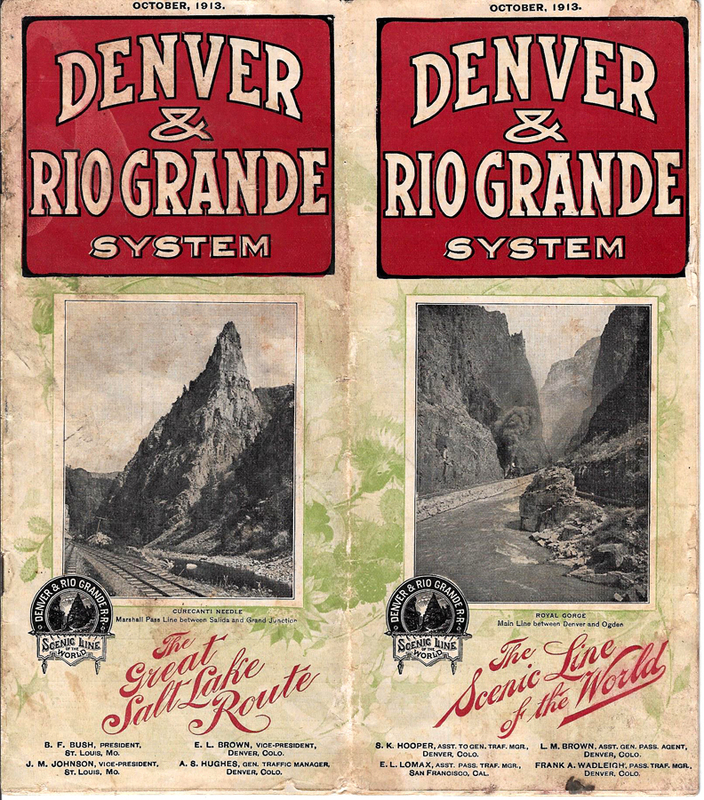 Two-page central Map of the Denver & Rio Grande Railroad Western Pacific Railway and connections. Very good condition. Timetables and some descriptive. 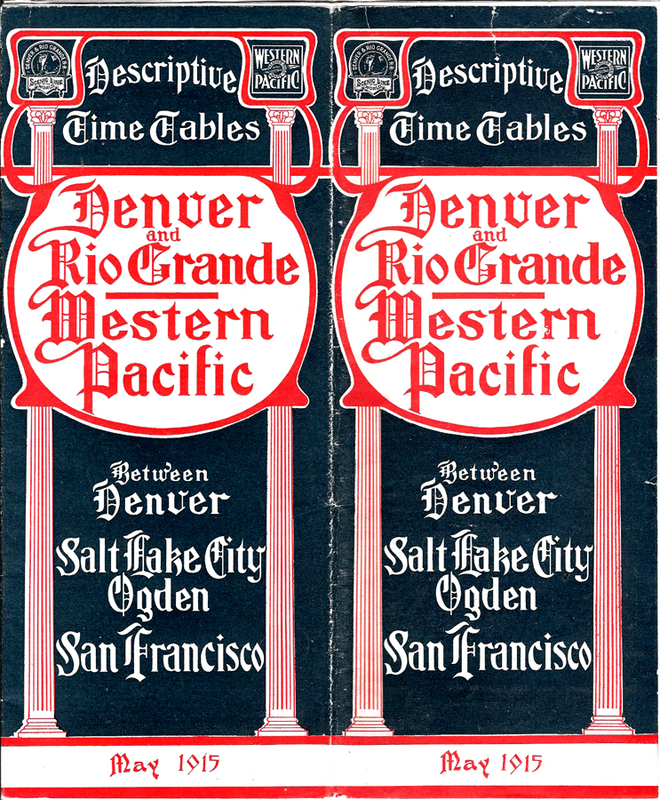 44 panels, with 8-panel Coast-to-Coast Map of the Denver & Rio Grande Railroad and the Western Pacific Railway and connections. Poole Bros., Chicago. 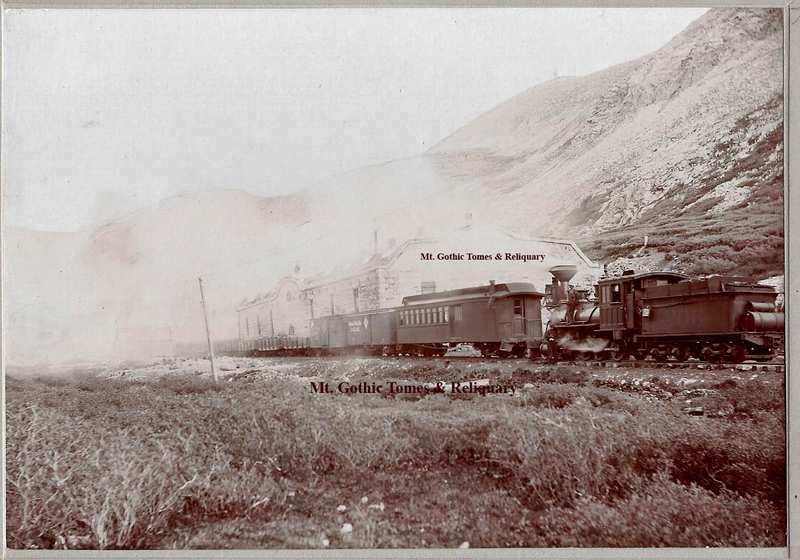 Carson-Harper, Denver. Very good plus condition. Original printed light-green wrappers; 32 pages. Very good condition. Ex-library, de-acquisitioned original publication. 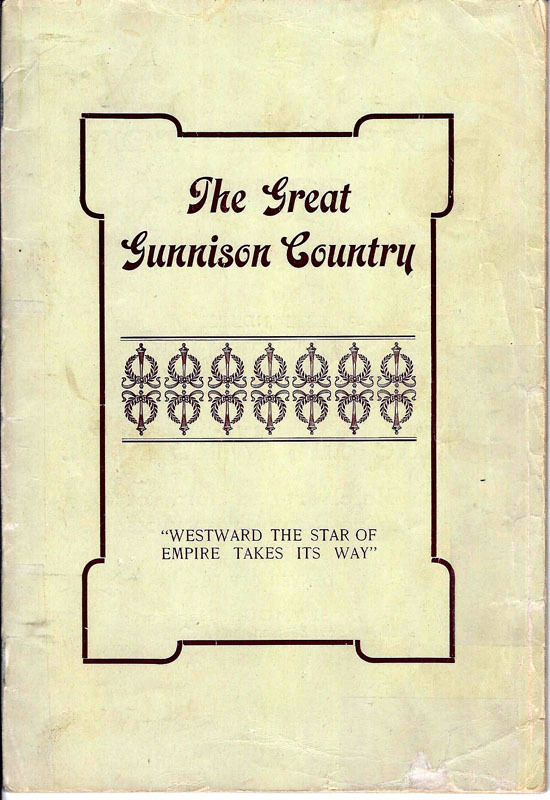 Original publication in original light green wrappers; 40 pages, illustrated. Articles and advertisements. Excellent and detailed history. 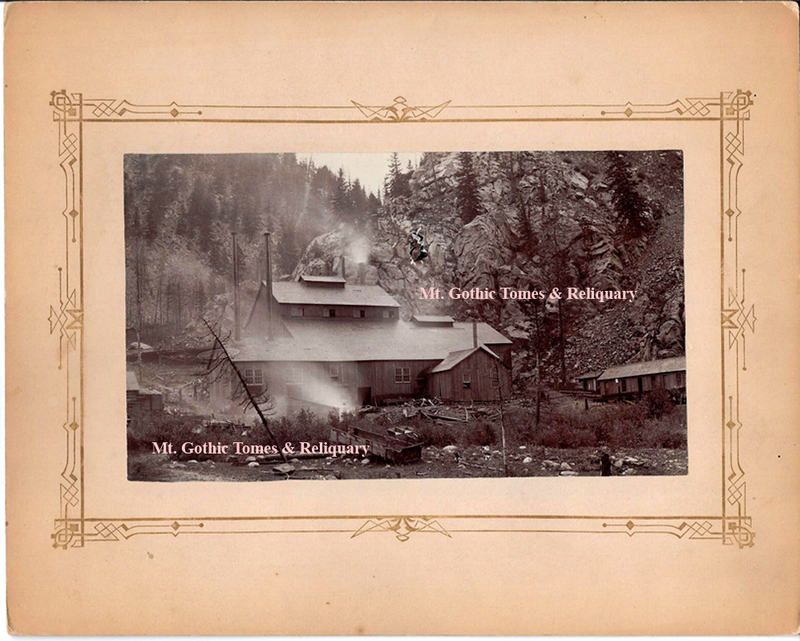 Contents includes: Gunnison County, Colorado by E. R. Lore; Mining; Agriculture and Stockraising; Gunnison; Ohio City; Pitkin; Bowerman; Midland Mine; Belzora-Bassick; Augusta and Black Queen; Gold Cup Mine; Gunnison Valley Ice Company; First National Bank, est. 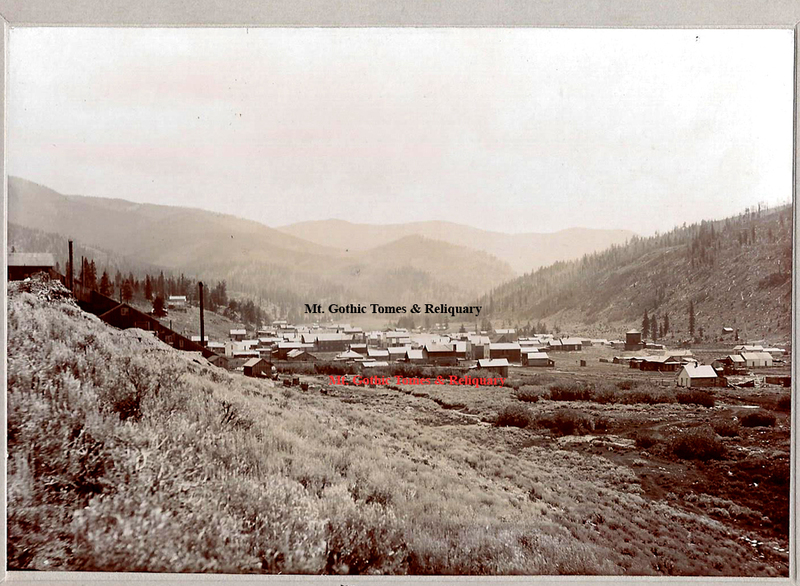 1882; Utah Fuel Company; Gold Link Tunnel; Sunlight Gold Mines; Cortland Mine; Continental Mine; Raymond Mine; Golden Islet Mine; Carbonate Camp; C. F. & I. Co.; West Gold Hill Company; Colorado Supply Company; and more. Condition of publication: very good; light chipping around edges of covers. 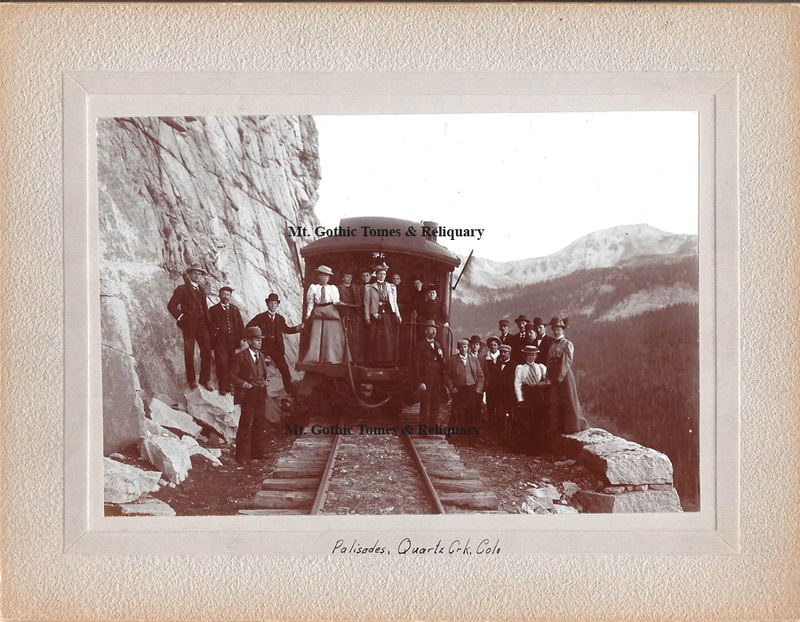 Photographic illustrations. For more information, please inquire.